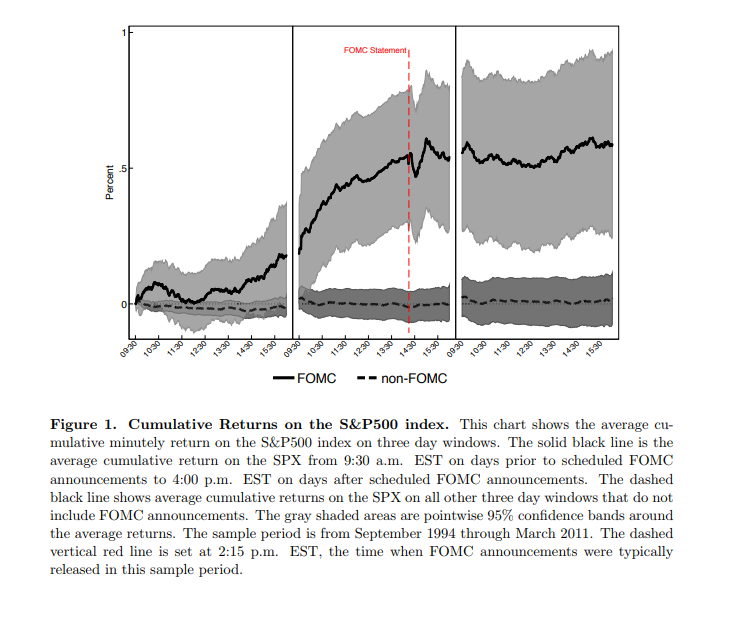 The data they used was from 1994 to 2011 and it showed a clear pattern of the S&P 500 being bid going into the FOMC announcement. I have talked about this phenomenon in the past, and inevitability, a bunch of readers have chimed in to let me know that this anomaly has largely disappeared. 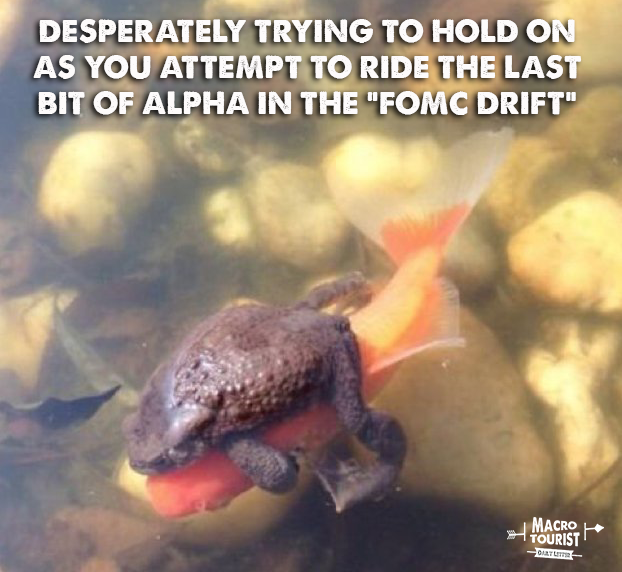 So, today I decided to do the work and update the FOMC Drift study for the past eight years. I did it a little differently to save myself some time, but the gist is largely the same. 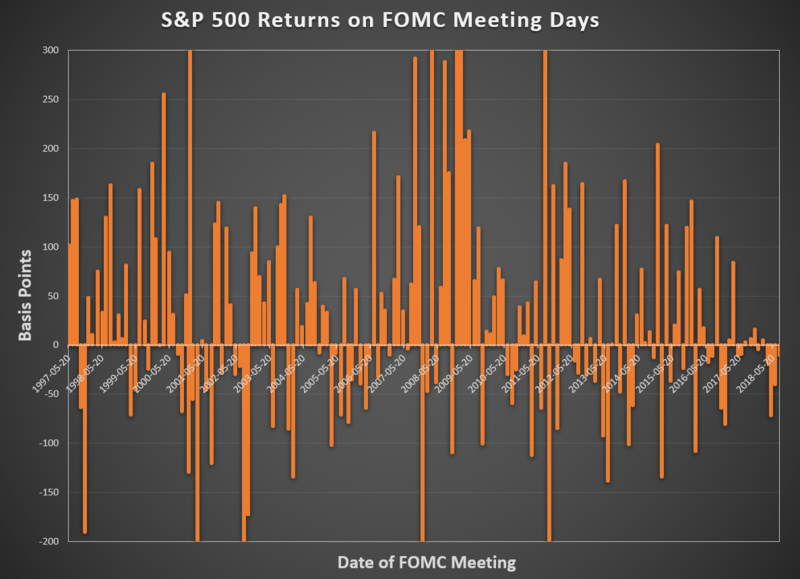 Instead of focusing on the intra-day data, I have taken the much easier route of calculating the returns for the day before the FOMC announcement (T-1), the day of (T+0) and the day after (T+1). Then I calculated the average daily returns of all other trading days not included in this set. For the return of the “other days”, I straightlined the average of all days not in the set. What jumps out immediately is how profitable this strategy was during the period from 2006 to 2009. The next easy observation is the steady rise from 2009 to 2015. However, over the past three years, the strategy has definitely flatlined. Look closely at the recent data. It’s less volatile, with larger declines and more muted rises. So yeah, my readers (as is usually the case) are way smarter than me and have correctly identified that this strategy has recently been a push. I am not ready to give up on it yet. This period also coincides with a relatively hawkish Fed. 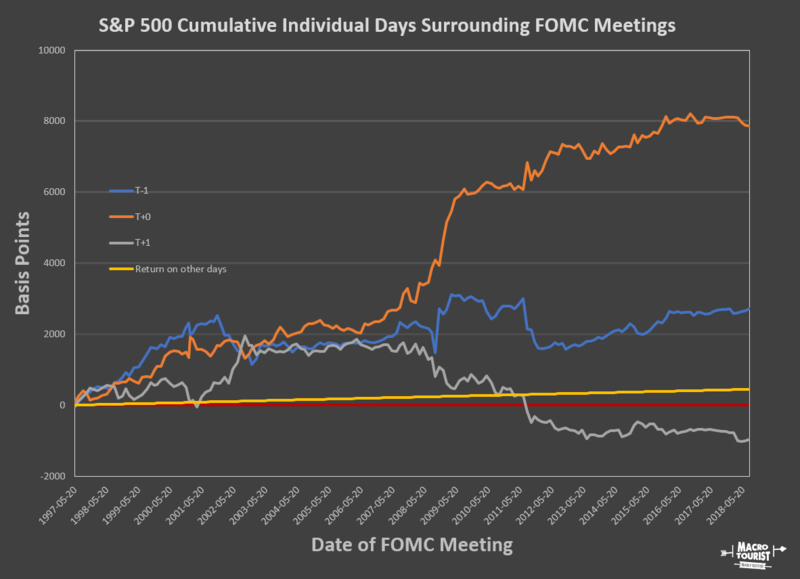 It’s probably no coincidence that the Federal Reserve made its first hike in almost a decade on December 15th, 2015 and this was also the point where the FOMC Drift stopped working.